Summer weather in New Hampshire brings motorcycle rides out in full force. With an abundance of spectacular scenery, NH offers motorcycle enthusiasts great destination rides. Start a day in the White Mountains, travel through the Lakes Region and end your day at the Seacoast. NH offers motorcyclists some wonderful adventures. 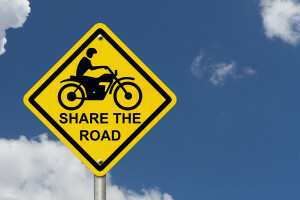 Despite the joy and freedom associated with motorcycling, there has been an increase in motorcycle accidents and fatalities in New Hampshire lately. During the month of July alone there have been a handful of serious and or fatal accidents involving motorcycles. Such collisions have occurred throughout the state including Manchester, Nashua, Concord and other communities. Nashua, NH for instance, was voted Best City to Live in America which is quite a feat for any U.S. city. It certainly deserves the title given its ideal bedroom community setting amidst dozens of shopping outlets, representing almost any American store chain, along with its vast array of multicultural dining spots. But Nashua, like any other American city, is also home to serious motorcycle collisions and auto accidents. And these collisions can be life changing for an injured accident victim, especially motorcycle rides and their passengers. Injuries resulting from motorcycle collisions can range from minor bumps and bruises, to severe, catastrophic if not fatal injuries. Typically, injuries suffered by motorcyclists and their passengers are almost always serious, involving broken bones, lacerations, brain and spinal cord damage, disfigurement, loss of limbs, and /or death. Unlike cars and trucks, motorcycles are open vehicles and lack significant protective “armor” to shield occupants against impact and injuries. It is unfortunate that some motorcyclists never realize how dangerous riding can be until they are involved in a collision. And, for motorcycle riders not wearing helmets, the threat of brain injury and/ or serious facial injuries increase significantly. The majority of motorcycle related accidents involve bikers who are careful and cautious riders that observe all traffic rules and ride safely. Yet despite their best efforts, collisions still result due to the negligence and carelessness of other motorists. Due to a myriad of many factors, and no fault of their own, motorcyclists can quickly become innocent victims of horrific crashes. As veteran Motorcycle Lawyers, we have witnesses just about every type of motorcycle injury possible. It is heartbreaking watching injured motorcyclist suffer extreme pain following the aftermath of a collision. The impact to quality of life after one has been severely injured can be devastating. The victims’ families are also left suffering and must find a way to manage the difficult road ahead. Many injured bikers will live in constant physical and emotional pain and have to contend with the already high costs of medical treatments and maintenance drugs.